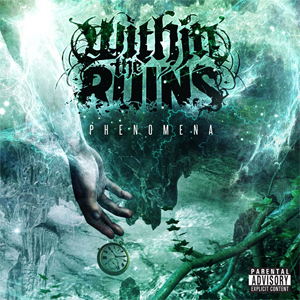 WITHIN THE RUINS Debut Their "Calling Card"
WITHIN THE RUINS have debuted a brand new music video for their latest single "Calling Card". Directed by long time veteran director Kevin J. Custer, the video is a drastic departure from what most metal videos look like these days. "This is a perfect representation of the concept of our new album Phenomena," says vocalist Tim Goergen. Watch the "Calling Card" Video HERE. The video depicts Goergen as the main character in a comic book, a running theme throughout the band's latest release. He continues, "Comics and metal go hand in hand and we are beyond stoked on how this video came out! Definitely the most fun we've had on set for a music video." This video is a followup to the fiery "Gods Amongst Men" video that was released a few months ago. 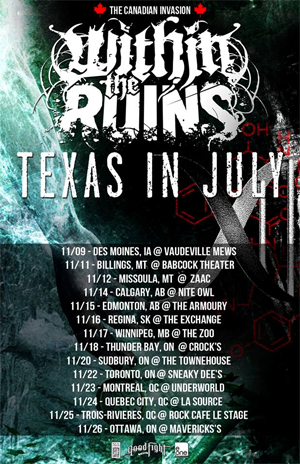 The band just announced a string of dates throughout Canada and the U.S. with TEXAS IN JULY, starting in November. 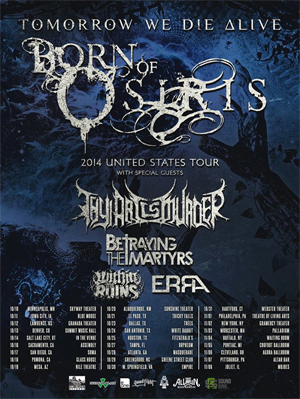 But first, the band is headed out in support of BORN OF OSIRIS and THY ART IS MURDER on the Tomorrow We Die Alive tour starting October 10th. The new tour dates finds the band in peak form and fresh off the success of their latest album Phenomena, which was released on July 22, 2014 via eOne Music / Good Fight Music.